This is the top of the range 4in1 45A ESC from Spedix running BLheli32. 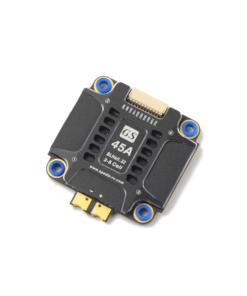 This ESC is designed to handle all the abuse you can trow at it with the bigger low profile heatsink which helps with cooling and protection. 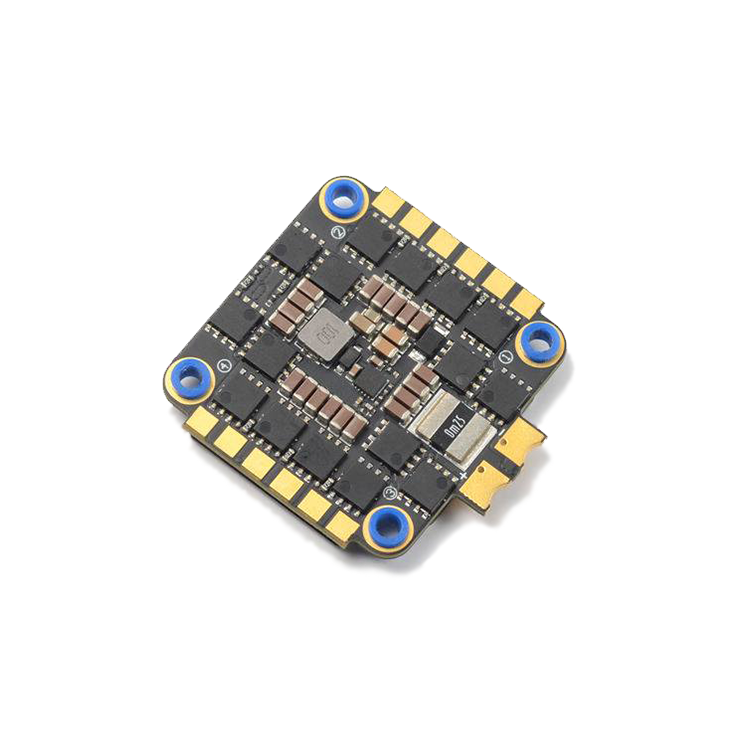 This is the top of the range 4in1 ESC from Spedix. If you were a fan of the GS40, the GS45 is a worthy replacement. This ESC is designed to handle all the abuse you can trow at it with the bigger heatsink which helps with cooling and protection. BLheli32 with ESC telemetry support and Current sensor. Silicone ring inserts can insulate standoffs and ESC, and prevent impact of standoffs on PCB and electronic parts during crash. 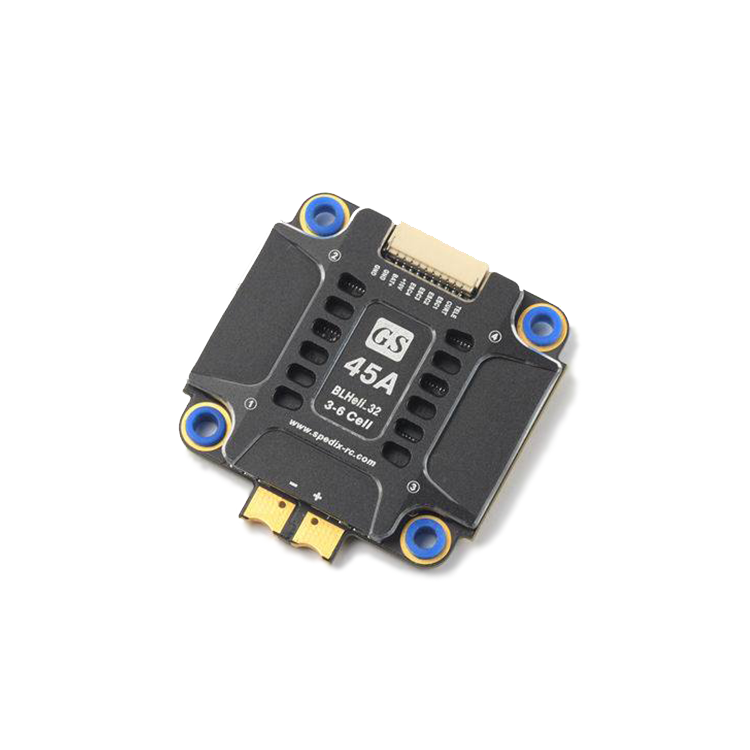 Smaller square footprint with motor connectors compatible with just about any frame out there. Includes 3 cables to fit various flight controller amongst other accessories.